The physical security of the grid has become an important issue. It’s also emerging as a bureaucratic football, with little action taking place. The attack on the Metcalf substation in California was a wakeup call that homegrown terrorists could bring down the grid. It’s been recognized for years that a nuclear device, exploded high in the atmosphere, could create an electromagnetic pulse (EMP) that could shut down the grid and also destroy unprotected electronic devices. Recently, it’s been recognized that a large magnetic solar storm, similar to the 1859 Carrington solar storm, could also bring down the grid with the potential for destroying society as we know it. See Geomagnetic Storm. The Federal Energy Regulatory Commission (FERC) held a technical conference in April, 2012 to address the issue. Experts from the government and industry explored the probable outcome of a Carrington-like event, with disagreement over how devastating a collapse of the grid might be. 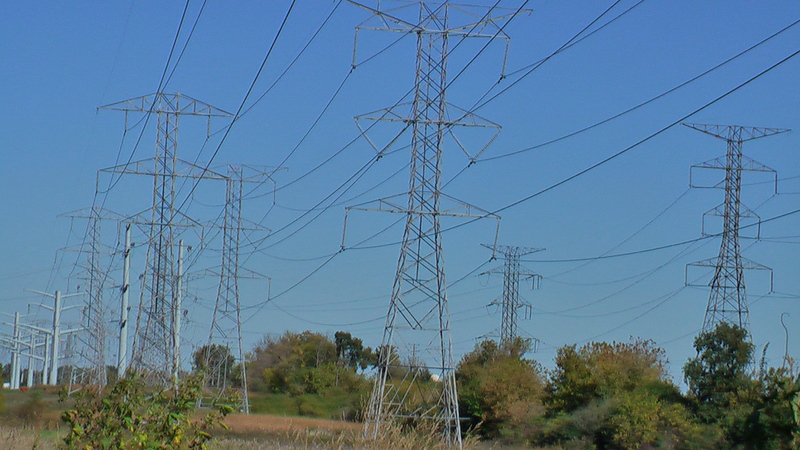 The North American Electric Reliability Corp. (NERC), which reports to FERC on reliability issues, said the collapse of the grid would occur in such a way that induced currents wouldn’t destroy transformers or other equipment. This was vigorously contested by most of the other participants of the technical meeting. There are 300 high voltage transformers that are in danger of a Carrington-like event. NERC recently delivered to FERC a mammoth, 800-plus-page plan, providing the details of how the industry will respond to physical security threats. Important objections to the report were made by NERC’s stakeholders. The comments of Bonneville Power Administration (BPA), seemed to indicate that NERC was proposing that everything needed to be protected … a bureaucratic, rather than a technical response. This type of bureaucratic response by NERC places all Americans in danger, because little will actually get done. The Battelle Memorial Institute, a private, nonprofit research institution in Columbus, Ohio, prepared a response that was focused on results. It’s obvious that every installation on the grid, i.e., all the transmission lines, all the distribution lines, all the HV transformers, all the substations etc., can’t be fully protected, all the time. A Carrington-like event will almost assuredly occur sometime in the future … perhaps next week, next year, or perhaps not for a hundred years. See End of Civilization as We Know It. However, a physicist, Pete Riley, recently estimated that there was a 12% chance that a Carrington sized solar storm could hit the Earth in the next ten years. This is a huge probability, given the risk. Congress needs to step in and insist that an organized approach be taken by FERC to achieve a reasonable level of protection, especially for the most serious threats. Given that the 300 HV transformers are common to both a Carrington-like event and to physical attack by terrorists, it would seem that protecting them, or providing back-up units, could be given the highest priority. Prioritization is key to getting something done. See End of Civilization as We Know It Part 2 for the first step in prioritization for other than the 300 HV transformers. There may be some other specific physical installations that require a high priority, but trying to protect everything results in nothing getting protected. Trying to protect everything is a fools errand … typical of bureaucracies with their CYA and obfuscation approach to problems. It is an issue of survival, and is worth people writing to Congress to express their concerns about the issue. Everyone can copy or link to this article, if needed for technical support, when contacting their Senators and Representatives. Note: This may be the first time that any of my articles have called for people to contact Congress. This is a near term, if not immediate, existential threat. Hey Donn: Are solar arrays and their systems susceptible to pulses and Carrington events? I’m assuming you are referring to PV solar installations. The short answer is yes … but. The greatest effects of any solar storm are felt in the higher latitudes, such as along the Canadian-US border, or in Europe. I know of no studies in this regard, and suspect the probability of PV system failures are very low, especially if they are installed in the southern half of the US. I suspect the inverters are more at risk than the PV panels. I’m also assuming that PV installations have protection against induced currents from lightning. That’s not a complete answer, but, again, I know of no studies that might provide a more substantive answer.